Creating vitality and energy for your physical, mental and spiritual wellbeing! ← 3 Idiots – and my expectations of Bollywood! As I approach a rather big birthday, I’ve been thinking a lot about how my career has dipped and turned all over the place. When I came to England in 1996 to do my MSc in Tourism I had no idea that this would become my home. Whilst studying I did some waitressing for a hotel in Guildford earning extra money working breakfast shifts, wedding parties, Christmas, New Year. It was tough, low-paid work. But it helped pay the bills. Since graduating I’ve constantly flitted from job to job – wedding co-ordinator and banqueting manager at the Lythe Hill Hotel in Haslemere, tourism lecturer at Farnborough College, copywriter and recruitment agent for Berkeley Scott, Marketing Manager at Cranleigh Arts Centre! Wow the list is endless….I really couldn’t stick to anything! And let me tell you the above list is just scratching the surface. It was only when I started running my own businesses that I began to really enjoy myself. There is nothing that beats working for yourself. 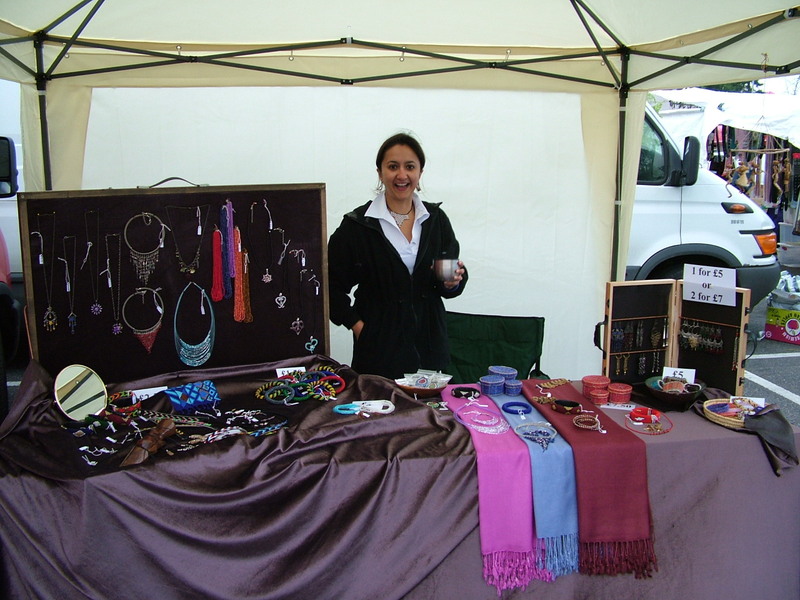 Ok – so running a market stall selling ethically sourced Kenyan and Indian jewellery (SamBuru Designs) wasn’t glamorous – actually it was downright tough – and the novelty soon wore off when I had to stand outside in the freezing cold winters, and the wet, wet, wet, weather that England is so well known for. Through SB Dance I’ve done some fantastic projects including working for charities such as Create Arts – running dance workshops for disadvantaged and vulnerable people in our society. I’ve done Rangoli exhibitions and Lantern parades in our local community. 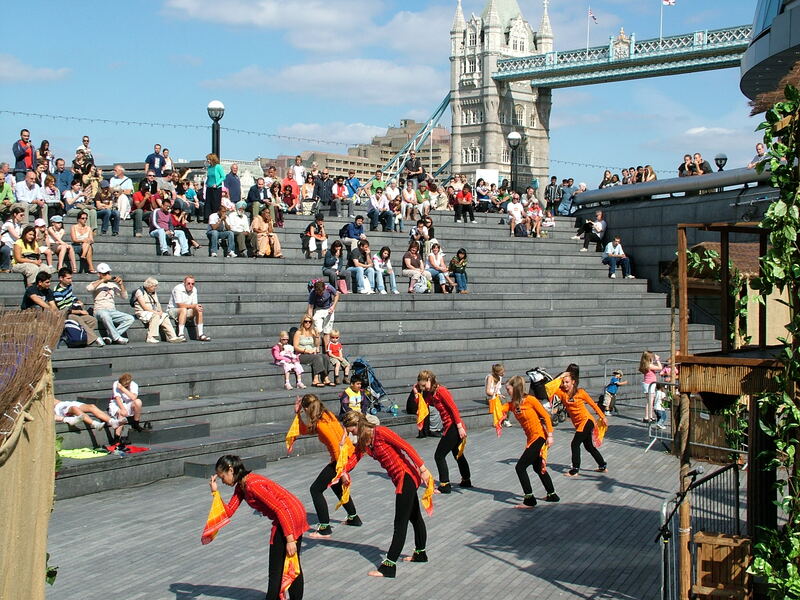 I’ve had a dance troupe dance at the Scoop in London, at weddings and summer balls. I’ve taken a show up to Edinburgh Fringe Festival. I’ve been instrumental in setting up youth and adult dance companies in the local community. I’ve run Bollywood workshops in schools and communities all over the place! And now, we’ve just had the Just Jhoom! Bollywood dance-fitness course accredited in the UK – the first of its kind. So, now a new stage in my life begins – one where it is all about Just Jhoom! Who would have thought – all those years ago when I came to England – serving endless breakfasts to hotel guests – that today I would be running my own dance-fitness training company? I didn’t stick to what my original career path had been. I kept re-inventing myself, re-training and looking for that job that would fulfil me. Starting with nothing, working long hours for others, suffering from stress – I now work from home, for myself, still long hours – but it’s for me! The thing is not to give up. Follow that dream. You never know where it might lead you. For me, it led to dance…and teaching others to dance! Nowadays bollywood songs are played in most of the parties all over the world. Bollywood dance is practised by fitness enthusiasts to keep body and mind young & energetic. To to it all this form of dance gives you that real inner happiness that comes from dancing on your favourite Hindi songs. The big birthday you’re talking about – your 30th right? I had forgotten just how many different jobs you had had before you made dance and now Just Jhoom your full-time vocation. It’s so brave to follow your passion and to reinvent yourself until you find what you really love to do. You’re absolutely right, never give up and follow your dreams. Sure, we all need to make ends meet and often necessity keeps us in jobs/careers that we are not at all passionate about. But you have to go for what you really want, make time for it before and after your day job if you have to, before you can afford to make it your full-time vocation. It all depends on how badly you really want it and how hard you’re prepared to work. May Just Jhoom go from strength to strength!